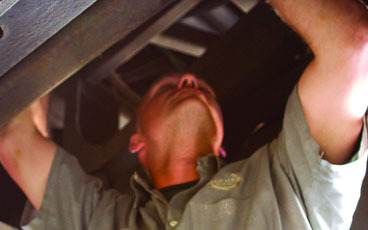 Complete motor home repair and service is available at each of our locations. 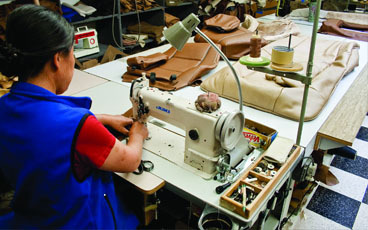 Our experienced luxury RV service and remodeling personnel focus completely on satisfying the needs of our bus owners. Whether it’s routine service maintenance, repair or upgrade, we have the experience and the expertise you need. And we’ll keep you up to speed on the progress. As a result, you’ll know that your motor home is in the best hands. Our ongoing commitment to providing excellent customer service has kept Marathon at the forefront of the luxury recreational vehicle industry. 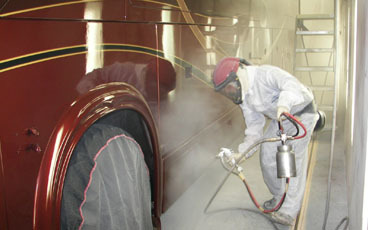 Bring your motor coach back to the same talented crew that painted your coach originally. Marathon offers full service design and paint for new exterior graphics, paint repairs, special effects, re-clearing and polishing. Learn more about our painting process. Have a luxury motor coach, RV or bus conversion other than a Marathon or Prevost? We have you covered. 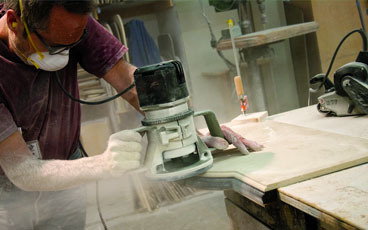 Our team is expert at repairs on all makes and models. Experience the difference at Marathon.